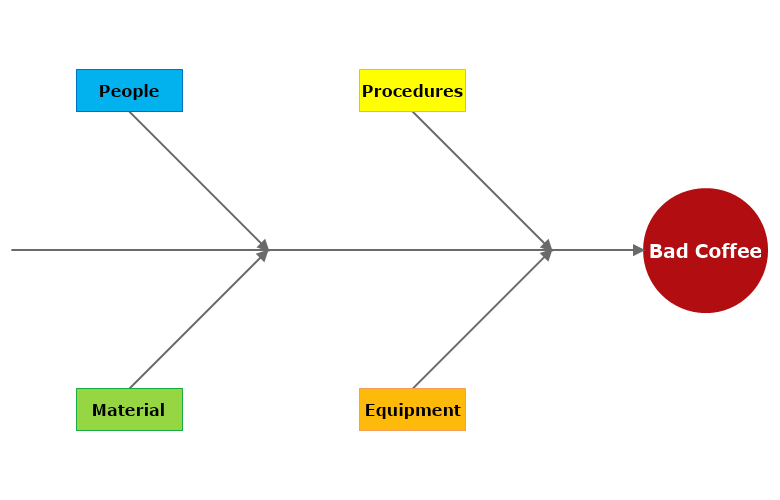 As the name suggests the Cause and Effect diagrams serves as cause analysis method. It illustrates a specific effect / problem and all of the possible causes related to it. This type of diagram is used for tracking the exact variable influencing the effect / problem that we need a solution for. 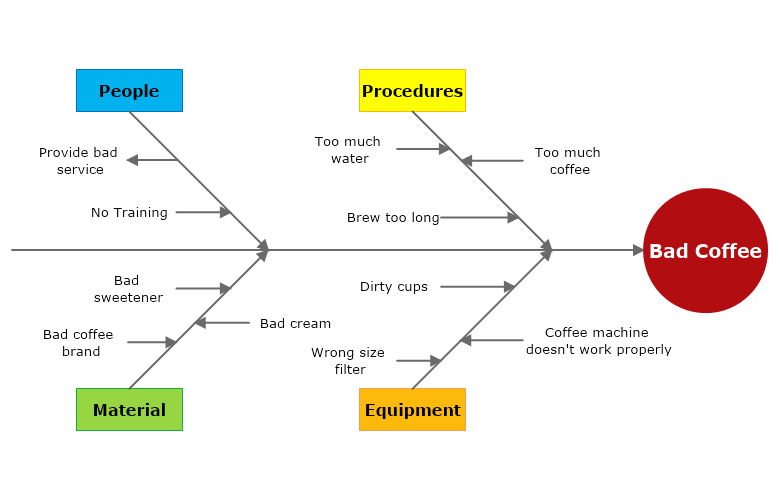 What do you need to create a cause and effect diagram? MyDraw for Windows or for Mac. The beginning of the cause and effect starts with the effect you are looking to achieve or the problem you want to resolve. Perhaps you are looking to increase your sales, or you want to see what is the reason of the increase of your website's bounce rate - you first need to tightly specify what exactly will your cause and effect diagram be about. Once we have the beginning of the cause and effect diagram, the next step would be to draw the "backbone". The so called backbone is a line with and arrow pointing toward the effect and representing the direction of the cause-effect relations within the diagram. Then we need to specify each of the main variable categories that might influence the effect and connect them via an arrow to the backbone. From this stage and on all we have left is to list all the possible units within each category. In order to have a completely full vision and understanding of the effect it is important to note every little detail that might cause a change to it.